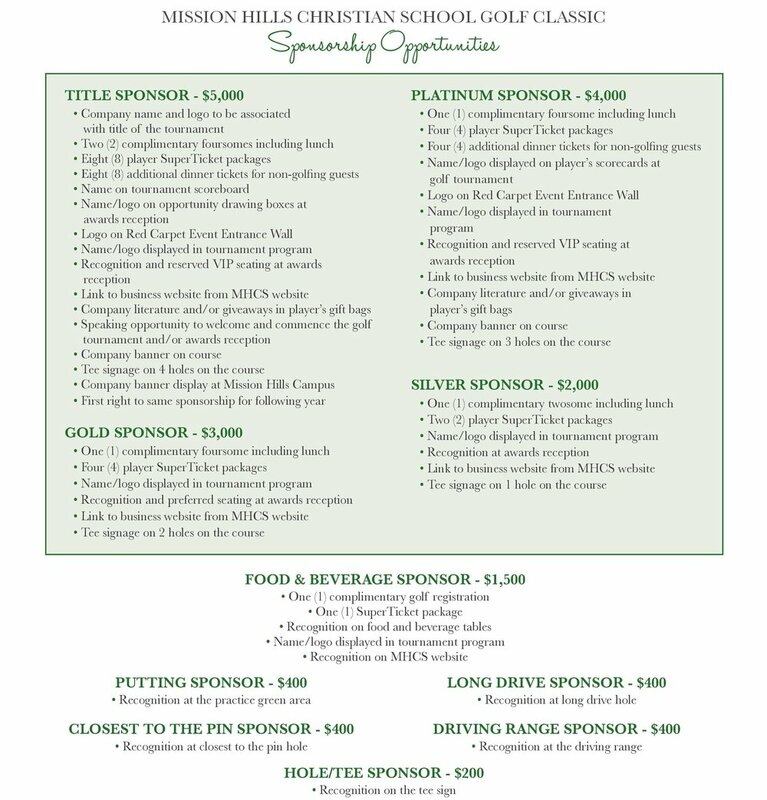 Thank you for your interest in participating as a sponsor of the Mission Hills 2018 Golf Classic on Friday, October 5. We are seeking corporate sponsorship to underwrite the cost of our event so that 100% of the funds raised can go to support our students. Our event is expected to draw more than 200 participants, supporters, and volunteers to the prestigious Tijeras Creek Golf Club. Participants will enjoy a great day of golf, an awards reception, a chance to win a new car from Audi Mission Viejo, our Hole-in-One sponsor. Sponsoring organizations will be prominently featured in our promotional campaign showcasing your organization to a highly energetic and loyal audience of thousands of Orange County residents. To reserve your sponsorship, you can download, print and return our Sponsorship Form or email jchebat@MissionHillscs.org.